Winter has finally arrived in the Cairngorms National Park!! There has been plenty of snow, followed by some thaw and high winds – but already keen skiers have been taking their skis for a walk to find some snow. It is just like when skiing first came to the Cairngorms in the late 1890’s, with a descent of Coire Cas. In those days it was intrepid mountaineers who used the Nordic style of skis more for travelling over the snow than downhill thrills. Heavy leather boots and solid wood skis were the order of the day, none of your modern lightweight gear and skis that do turn! One item of old equipment that has never gone out of fashion is the hip flask. 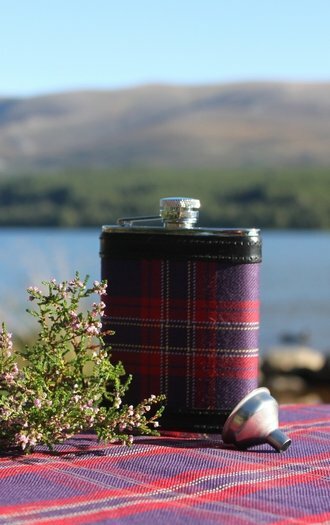 Our Tartan Hip Flask is just the thing to help keep the winter cold out. By 1907 the Scottish Ski Club was formed. The new style and equipment of Alpine skiing was in favour but you had to be fit to carry your equipment up to the top of the slopes and then ski down, again and again. After the First World War, there was a gap but by 1929 the club was up and running again and the sport was even more popular due to better roads, equipment and snowy winters. The most popular areas were the Cairngorms’ northern corries and Glenshee. By the 1940’s the first rope tows in Scotland had been set up at Ben Lawers and Glenshee, which were powered by a modified tractor! 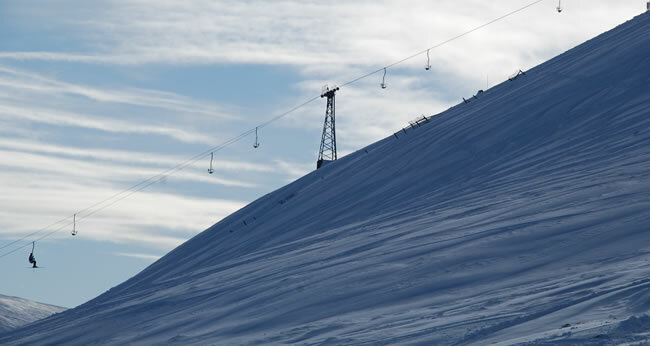 In 1956 the first permanent ski lift was build in Glencoe and a year after that the Dundee Ski Club opened its first T-bar at Glenshee. This encouraged more skiers and in December 1962 the Glenshee Ski Centre opened at the Pass of Cairnwell on the A93, which is located at 2100ft (650m). It is the biggest ski area in Scotland with 40km of runs. In 2004 the company went into receivership but after a management buyout the future of the ski area was secured and it is still going strong. Back down towards Ballater you can take the scenic A939 to the Lecht and travel along the famed Cockbridge to Tomintoul road, one of the first to shut when it snows due to its exposure and elevation. 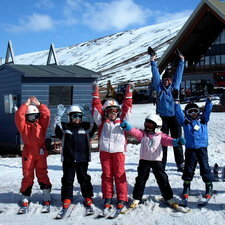 At a height of 2090ft (645m) you will find the Lecht Ski Centre or Lecht 2090 as it is now known. It is the youngest of the ski centres in the National Park and opened in 1977. It is also the only one with a 100kW wind turbine. Before 1977 there was a cattle grid and space for three cars to park now it is much fancier, with an 800 car, car-park, cafe and uplift for 10,000 skiers per hour. Incidentally the name Lecht means downward slope, a fitting one for a ski centre. Driving on to Aviemore we should take a detour to Carrbridge and the site of the Struan Hotel that belonged to the pioneer of commercial ski tution in Strathspey. It could also be argued that Karl Fuchs was the father of modern skiing in Scotland. He set up his Austrian Ski School in 1954 and was a vocal supporter for getting a ski centre built at the Cairngorms. 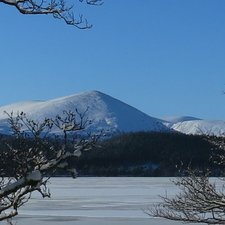 Once in Aviemore, we take the “ski road” which was built in 1960 and the centre opened in 1961. 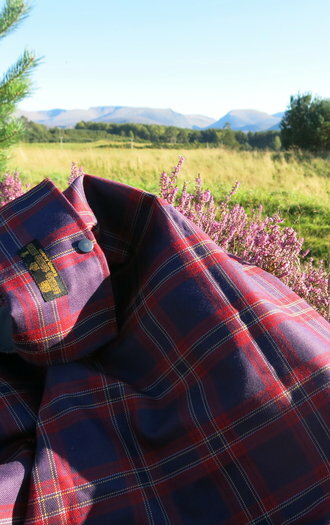 Being so close to Aviemore, it quickly became the most popular resort in Scotland. It is perhaps best known for its funicular railway (and great skiing), which was opened in 2001, it takes you from 645m up to 1097m in a few minutes. 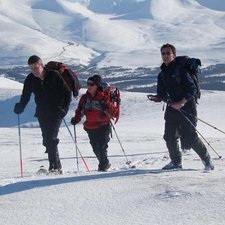 You don’t have to ski to use it and all year round people travel up to the Ptarmigan Day Lodge to marvel at the views over to Glenmore and Strathspey.